A double mermaid cake! For 2 very lucky girls! 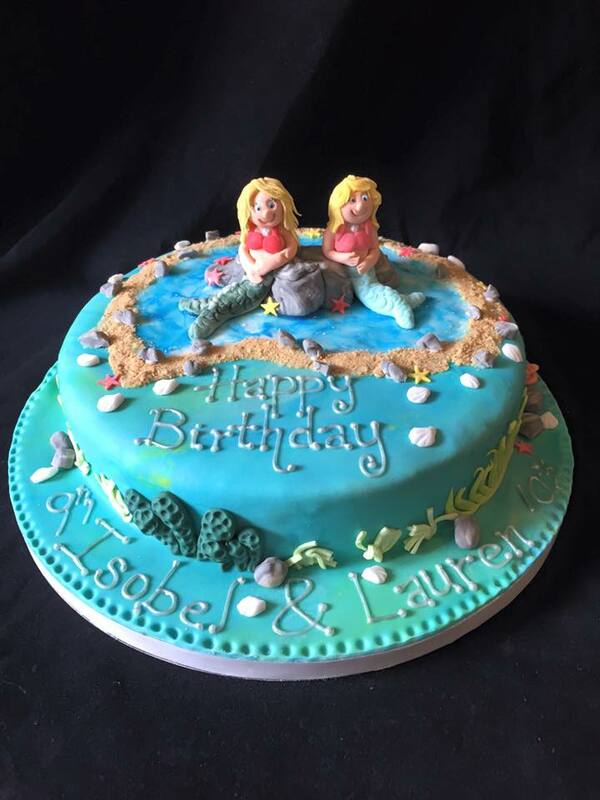 Chocolate Biscuit Cake covered in a swirling blue fondant, wet water icing pool with 2 lovely mermaids perched upon a sugar rock, decorated with seaweed, shells, rocks & coral. Perfect for their pool party!